Berlin, 31 March 2015. Baltic Sea Voyage is the next instalment in the Kristjan Järvi Sound Project recording series on Naïve Classique. 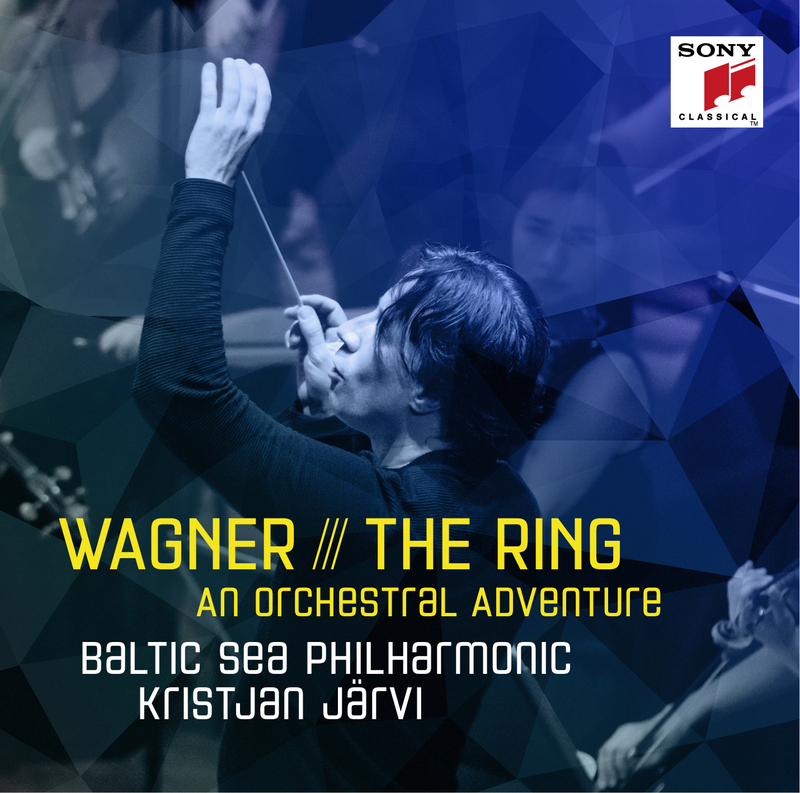 Conceived by Estonian-American Kristjan Järvi and performed by the Baltic Sea Youth Philharmonic (BYP) – of which Järvi is Founding Conductor and Music Director since 2008 – the album celebrates the rich musical landscape of the Baltic Sea region. Järvi comments: “Featuring music from each country bordering the Baltic Sea, listeners can journey from the deep spirituality of Grieg, Sibelius and Pärt and the Nordic mythology of Wagner’s Ring, to the folkloric drive of Stravinsky and Kilar, and finally to the pop culture-inspired works of living composers Kalninš and Gelgotas.” Baltic Sea Voyage is the orchestra’s first official album release. The Baltic Sea Youth Philharmonic (BYP) is the only orchestra that unites young talented music students from the ten countries of the Baltic Sea region: Denmark, Estonia, Finland, Germany, Latvia, Lithuania, Norway, Poland, Russia and Sweden. Just as the Baltic Sea both separates and connects its ten surrounding countries, BYP celebrates the diverse national characteristics of the musicians and the music while creating a united voice for the region. Featuring musicians aged 18-28 from, or studying in, the ten countries bordering the Baltic Sea, the orchestra’s ambition is to use music as the vehicle for cultural and social cooperation. Each year it goes on international tours, featuring world premiere performances and original programmes, bringing the sound of the Baltic Sea region to the world. In 2015, the orchestra and Kristjan Järvi will perform in Poland, Germany, France, Switzerland, Italy, Denmark and Finland, including its first concerts in Paris and Zurich. As well as international tours, each year BYP comes together for innovative workshops, or ‘LAB’, as part of a unique teaching ecosystem. Created and led by Kristjan Järvi and his team of international coaches, the ‘BYP LAB’ promotes entrepreneurialism and creativity, while embracing music of all genres. In the longer term it is the vision of BYP to be and create an education hub for the entire Baltic Sea region. The orchestra boasts an Artistic Council featuring such musical luminaries as Valery Gergiev, Marek Janowski, Mariss Jansons, Kurt Masur and Esa-Pekka Salonen. Baltic Sea Voyage is the second release on the Kristjan Järvi Sound Project on Naïve Classique. Launched in 2014, it is the first series of concept albums curated by a conductor. Future releases planned for 2015 include Parallel Tones with MDR Leipzig Radio Symphony Orchestra featuring Richard Strauss and Duke Ellington (June) and the Arvo Pärt 80th Anniversary Album (autumn).